Is it possible for your business calendar and implementation schedule to be impacted by belief systems, philosophies and religions? It is not just possible, but probable. As you read these words Ramadan (or Ramazan, Ramzan, Ramadhan, or Ramathan), the ninth month of the Islamic calendar, is being observed by Muslims worldwide. This month is honored by the fasting and abstinence of various activities to commemorate the first revelation of the Quran to the Prophet Muhammad. This annual observance is regarded as one of the Five Pillars of Islam. The month lasts 29-30 days and is determined by the visual sighting of the crescent moon, according to biographical accounts compiled in the hadiths. Muslims during this holy month fast from the first thread of light at dawn to sunset abstaining from all food and water. This is a time when giving in charity is heavily emphasized and charitable deeds, such as feeding the poor, is a part of a Muslim's obligation. Muslims also abstain from other habits such as smoking and there is an increase in attendance at local houses of worship called mosques or masjids. 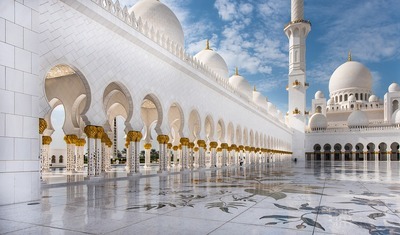 The Holy month of Ramadan impacts group as well as individual decision-making, especially within large companies, government and public sector organizations. Spending time virtuously, and respecting Islamic law is particularly important during Ramadan, resulting in reduced work hours, increased holidays, telecommuting, and a decline in business travel. As such, when key principals are out of the office or are working reduced hours, the decision-making process slows considerably. For most government organizations and government linked companies, time for Muslim prayer will have a bearing on meeting time. In addition, during the fasting month of Ramadan, they tend to dislike a meeting in the afternoon. It is critical to understand and account for belief systems and their events in day-to-day business proceedings. Not doing so can result in millions of dollars lost as seen in the following example. Case Study: A senior project manager for a U.S. tech company was concerned about whether his two-month implementation schedule should be modified to accommodate the holy month of Ramadan. Concerned with potential delay, his VP decided to proceed with "business as usual" and scheduled meetings and production nonetheless. The U.S. project team faced not only absent team members, but questions about their disrespect for Islam. The implementation was subsequently delayed three months, then six months. Numerous U.S. deadlines were missed, penalties were assessed, and promotions lost. How could this have been avoided? 1. Consider hosting a weekly Iftar for the workforce. This provides an opportunity for both Muslim and non-Muslim employees to get into the spirit of Ramadan. Iftar is the meal eaten by Muslims to break their fast after sunset every day of Ramadan. A company may also consider setting up a Ramadan donation system to feed the poor. Muslim countries have organizations which gather donations to package meals for the poor. 2. Schedule meetings outside of prayer times not only during Ramadan but whenever working within a Muslim country. In many Muslim countries, offices close for the prayer times that fall during business hours i.e. noon prayer and afternoon prayer. Islamic law impacts time as it relates to holidays and the traditional Muslim workweek, with the weekend falling on Thursday and Friday. In geographic locations where Friday remains a workday, many offices close at noon, as Muslims take a two-hour break for prayers at a local mosque. Many companies allow half days during Ramadan to allow their employees to spend time with their families during this holy month and to ease the burden of fasting during business hours. In years where Ramadan falls during the summer this is very necessary as fasting may be as long as 18 - 19 hours. 3. Remember that Muslims believe the past, present and future rest in God's hands. You are likely to frequently hear the phrase 'Insha'Allah', which means, God willing. Do not interpret this as a lack of commitment to your company's five year plan or project schedule, but do realize that your Muslim workers or business associates are deeply committed to the view that everything is on Allah (God's) time.